SINGAPORE – It was a star-studded night of glitz and glamour as Raffles Singapore ushered in a storied of 25 years of Success by Design when it proudly celebrated its latest award-winning cohort of graduates at the Fairmont Singapore on 10th December 2015. 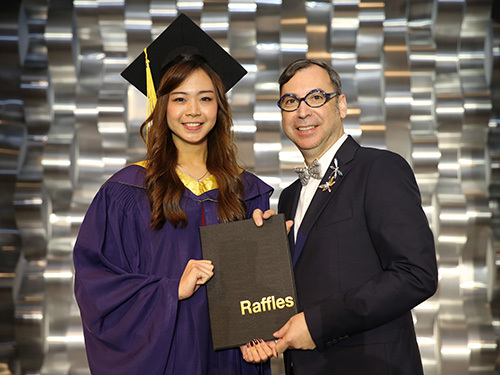 The 25th Anniversary’s Graduation Ceremony was held in conjunction with the fashion show, amped up with the crème de la crème of Raffles Fashion Designers’ works. 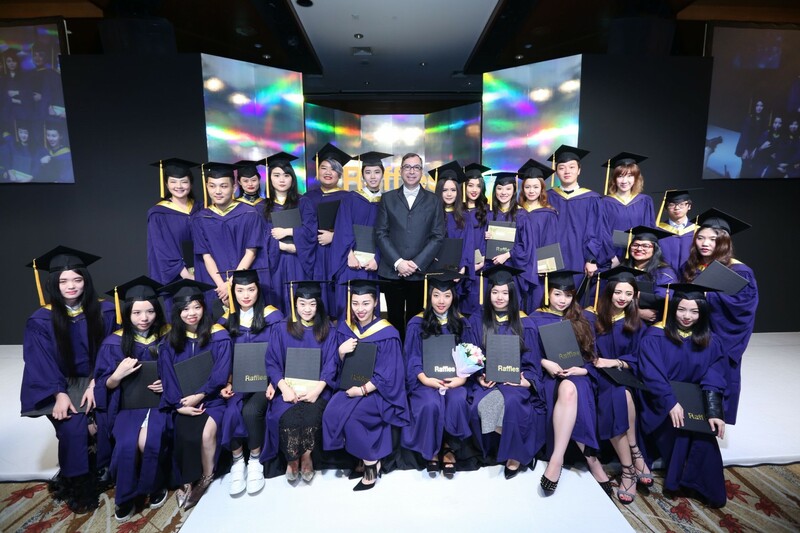 Headlining the graduation ceremony was the exhibition of works of Jewellery Design, Fashion Design, Fashion Marketing, Business, and Psychology, and also the top works for Interior Design, Product Design, Animation, Game Design, Graphic Design, and Multimedia Design. “Getting the top student award, it makes me feel really proud that my hard work is recognised and it gives me a push of motivation to do my best in the future as well. 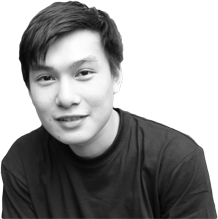 Studying in Raffles enables me to have a better grasp of what the design industry looks like and how I going to be in the industry.” asserted Glinna Natasya, Digital Media Design Top Student. In addition to the tradition hardcopy graduation book, Raffles Singapore produced a pioneering standalone e-Graduation book – providing a uniquely eye-catching, seamlessly user-friendly avenue to highlight, chronicle, and re-live the accomplishments of the entire December 2015 cohort of Raffles graduates. In the soar towards culmination, our sponsors and industry partners provided their full support – Official Make-up, Shiseido; Official Hair Styling, Mahagony, Panel of judges for degree students in fashion design, fashion marketing, product design, interior design, jewellery design, graphic design, multimedia design and animation consisted of prominent external examiners – Professor Maureen Wayman, Associate Professor Vincent Rondia, and Professor Nancy Spanbroek. “The students here are well-rounded. And so when they leave here, they leave as useful graduates who are industry-ready” Professor Maureen Wayman commented. With Raffles Education’s network of colleges having consistently produced an illustrious stream of successful alumni through the years, the fashion show captivated audience with 27 stunning collections produced by promising Raffles Fashion Designers, including award winners – Harvee Kok who is a masters graduate, previously won Harper’s Bazaar Asia, New Generation Fashion Designer Award at the Bangkok International Fashion Week in 2013 and Emerentia Wardoyo Ong who was the 1st runner-up in the Ecological Green Award in Frankfurt Style Award 2015. 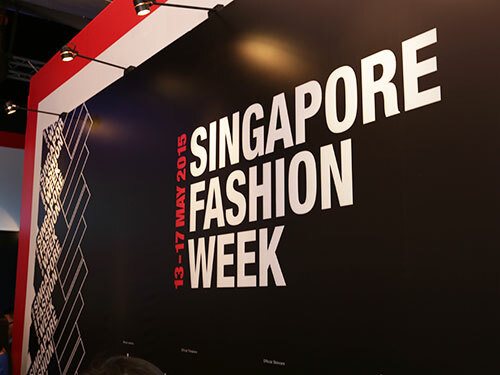 The well-orchestrated fashion showcase has attracted an overwhelming number of guests, VIPs and industry partners. Among the notorious VIPs and guests, we are honoured to have Daniel Boey, Fashion and Lifestyle Event Producer and Fashion Creative Director; Tim Daly, University of Chester Deputy Head (Partnership Management) and Senior Lecturer in Photography; Michelle Chong, Left Profile Artiste, Director of Huat Films Pte Ltd. They were enlivened and impressed with the standards, bursting with creativity from the diversity of students’ backgrounds. “It was a really interesting fashion show. I love the menswear and I had my eyes on several pieces. I thought the students were very clever in pairing the creativity with wearability because fashion nowadays is all about being able to relate to clothes and be able to wear it. I am huge supporter of Raffles Fashion Shows and I have been there at every single fashion shows and I think the designers have evolved. I can see how they incorporate more trends into their collection and that is very important because as a designer you need to be on trend, in fact you need to be ahead of trend and that’s what I see with Raffles Designers. “Daniel BOEY exclaimed. For the graduates and Raffles Singapore alike, it has truly been an illuminatingly rewarding journey throughout – a journey of Success by Design for Raffles Singapore of not just the past 25 years, but for the next 25 years as well and beyond.